RAYMAX Led Wall Mount offers a complete range of wall mounts & ceiling mounts from 17" to 70". with fixed types ,to fully adjustable types. 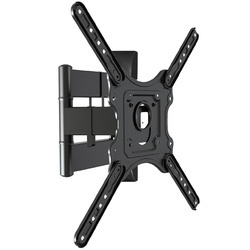 Tv Mount With Beautiful Design & High Build Quality. Suitable For Tv's Upto 55". Vesa Compliance 100*100 Mm To 400*400mm.. LED Ceiling Mount-Ray560-15 ceiling mounts are available for a size up to 57". RAYMAX TV CEILING MOUNT RAY-560-15 is a ceiling mount designed to offer the ultimate in versatility and universal compatibility. Tilting ceiling plate for flat and bevel roof/ceiling. It is the perfect solution for retail and commercial displays, offering 15°tilt down. It combines advanced cable management features and ceiling mount covers to ensure an elegant and tidy look. Max. VESA 400x400 hole pattern. Raymax Motorized Wall Mount offers remote control operation to adjust the position of tv through its 2 convenient one touch memory preset positions. 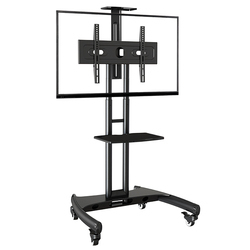 Allow automatic swiveling up to 90 degree for maximum viewing flexibility. can use tv remote control to operate it's function. Raymax Speaker Mount Ray-ss-01 speaker floor stand is perfect for home satellite speakers weighing up to 4.5kg/9.9lbs. 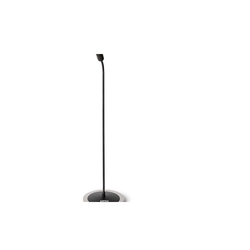 The stand can be height adjusted from 680mm-1100mm to match the ear level and give the most desirable sound distribution. The high-mass steel construction forms a solid frame to ensure stability in use and specially weight added base prevents from tipping over. Its cast-iron base features a concealed wire path to give a clean and neat look after installation. Single threaded insert of 5mm and keyhole on the rear of the speakers can be fitted to this speaker stand. 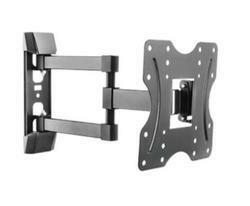 Raymax TV Wall Mount are available for all sizes. available in fixed, tilting & adjustable types. 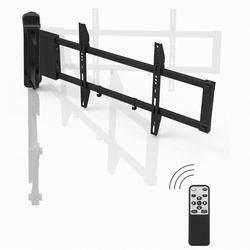 RAY-303 is a full motion tv mount.This model support tv from 17inch upto 37inch tv. vesa 200*200. compatible with all brand of tv. Package Contents WALL MOUNT,MOUNTING SCREWS,NUT. 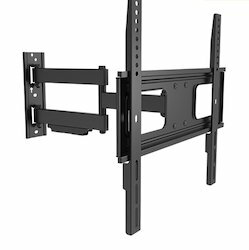 Our RAY-P5 cantilever mount is very popular design which made the consumers could install their TV by themselves in fast time. The dual arms design made the model looked much stronger and stable. With our nice looking and high-quality surface powder coating finished, the consumers could easily hung up their universal LCD, LED display onto the wall plate for quick installation. The wall plate cover and cable hidden system looked more luxury and nice, also made the TV cable behind your TV neatly. 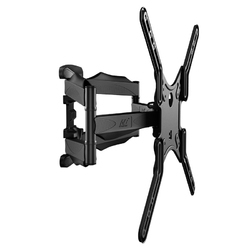 With this full-motion mount, you can be easy to fix, tilt, extend, fold and rotate your TV and any viewing angle whatever you wanted. 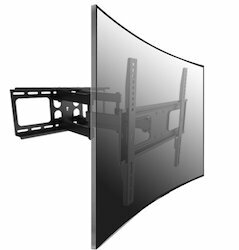 This low profile design made your ultrathin flat panel TV much closer to the wall, only 42mm(1.7”) distance from the wall. 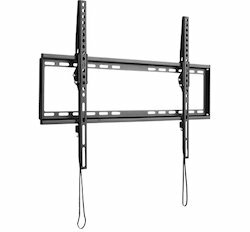 Easy and quick installation and disassemble made your families feel more convenient to move out your TV to different position. With our excellent design, The model is very appreciated in the market. Advance technologies design make viewing angle easy and convenient. Neat and tidy cable management designed make your cables connection easy and free trouble. 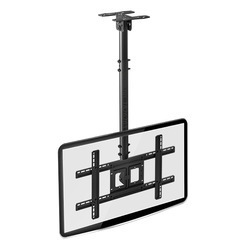 Our standard Accessories enable you to extend VESA mounting holes to 400*400mm. The arm can extend to 452mm maximum.